Dubbed as the Queen City of the South, Cebu is one of the popular tourist destination in the Philippines (fun facts) where tourist around the globe flock this Visayan island especially in January where the annual Sinulog Festival is being celebrated in honor of the Child Jesus. Aside from the colorful street dancing, concerts and a long list of festivities, Cebu also showcases a gastronomic feast where you can dine in a menu of international cuisine. But what we suggest is for you to indulge yourself in the local dishes that is unique to this urban center. Let us start with your breakfast menu. 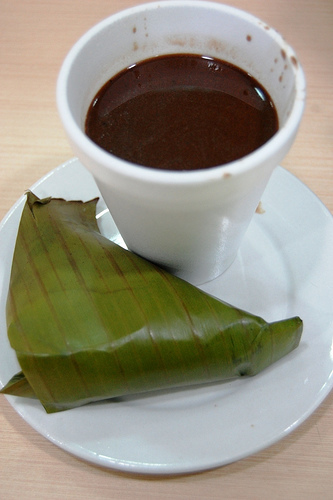 If you love hot chocolate in the mornings, then you should try our own version called sikwate. It is made up of cacao beans that is being roasted, milled and boiled. It can be a good substitute for coffee as it contains caffeine where you also need to add sugar and milk. Instead of the typical toasted or buttered bread, sikwate is best enjoyed while eating puto maya and sweet mangoes. Puto maya is a rice pudding that is made up of glutinous rice, fresh ginger and sweetened milk wrapped in banana leaves. This heavy breakfast will surely give you enough energy to roam around the City’s tourist spot as these foods are loaded with carbohydrates. In between your city tour, you may want to try local snacks where you can find it in almost restaurants and eatery in the City. First in our list is Bam-I which is pronounced as bam-ee. It is a stir fried noodles that uses both egg and bean thread noodles mixed with over 10 or more ingredients like shredded chicken, seafoods, vegetables, mushrooms and pork meat. 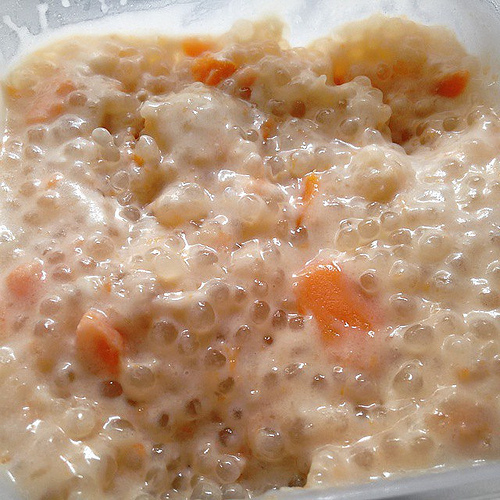 If you want a sweet, creamy and colorful Cebuano stew made of fruits and tubers that is being eaten as a snack, then you should try binignit. This is made up of a mixture of bananas, jackfruit, roots of taro, sweet potatoes, purple yam, whole grains of sticky rice and jelly balls all cooked up in coconut milk. We also have our own version of spring rolls called ngohoing. It is made up of shredded coconut palm, bamboo shoots, ground pork, minced shrimp all wrapped in a battered rice paper. It goes best when you eat it with your favorite soy sauce or sweet and sour sauce. Now we go to your main dishes. Your visit to Cebu is not complete without trying our Lechon. This is a roasted young pig stuffed with a secret mix of herbs and spices. 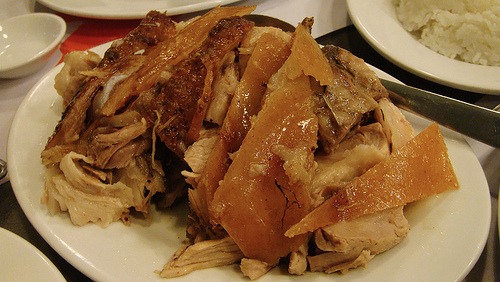 Lechon is often served in special occasions where you need to fall in line ahead of others as the crispy skin, being the most favorite and preferred portion, is the first part to be consumed. Another local favorite is the humba which is stew of pork belly mixed with sugar, vinegar, soy sauce, banana blossoms and fermented black beans. If you want a savory hot soup, then take a sip of tuwa which is made up of freshly caught fish, tomatoes, chili and lemongrass all boiled up producing an appetizing aroma. While Filipinos are known to eat rice, Cebu has its own version of eating rice. Instead of placing rice on the plate, you will eat puso which is a cooked rice stuffed in coconut leaves. All you need to do is cut the stuffed rice in half and you are ready to eat, of course not with plate, spoon and fork but with your hands. Lastly, you don’t want to go home empty handed as Cebu is jam-packed with pasalubong or food gifts which you can give to your loved ones back home. You can either choose from the famous Otap, dried mangoes or rosquillos to name a few. After visiting Cebu and feasting in all its local dishes, there is only one thing to say: lami kaayo which means it’s so delicious.